A Different Answer...with cheesy recipes! A Different Answer…with cheesy recipes! After being asked to be a contributor to Migraine.com, I decided to read many of your posts and questions, and I gathered that like many migraine sufferers, you’re fed up with the pain. Well, who wouldn’t be? I personally remember the days of endless suffering in a dark room with no sound, grabbing for any type of relief I could find. Yes, I too am a migraine sufferer. I still have a whopper once in a blue moon, and a small headache every once in a great while, but my days of endless, needless suffering are over. I’m not going to tell you that there is a cure, because there isn’t. We all know that. That’s why research organizations like the Migraine Research Foundation exist, to hopefully find one. I am going to tell you where I found my information though, and what I did about it. Hopefully the information I found isn’t that different from information you’ve gathered from your doctors, but if you’re like many patients, then sadly, it is. The first thing I’m going to tell you is that those migraine journals aren’t as helpful as some might believe. Why? For three simple reasons. According to Dr. David Buchholz of the Johns Hopkins University School of Medicine, author of Heal Your Headache, The 1-2-3 Program for Taking Charge of Your Pain, “one reason headache sufferers don’t more fully appreciate dietary triggers is the potential delay of hours —or up to a day or two — from the time an item is consumed until its impact is felt.” So, just because you ate strawberries for breakfast and you have a headache two hours later, it doesn’t mean the strawberries were the culprit. It could be the soup from two days ago. He also says “sometimes an item is followed by headaches,…sometimes it’s not, leading you to the mistaken conclusion that it must not be a factor,… but that fails to take into consideration the fluctuating level of all your other triggers.” You see, migraine triggers are not immune mediated. That means they don’t work the same way allergies do. They are more cumulative, or dose-related. The more triggers you have in your system, the more at risk you are to having a headache. If the atmospheric pressure is falling and you have a stressful day, and then you decide to indulge in chocolate, that’s three triggers in your system at once. However, if you decide to indulge in chocolate on a day with great weather and no stress, you may just avoid a headache – that is if you don’t eat any other triggers that day and haven’t eaten any the day before either. Furthermore, when doctors hand patients a list of possible dietary triggers, many times the patients may shy away thinking I’ve already tried this, and diet doesn’t work for me, all the while the doctor might be saying “This probably won’t be very helpful.” As discussed before, triggers are cumulative. If only one trigger is eliminated from the diet at a time, and there are five or six more being fed to the body simultaneously (triggers stay in the body for up to 2-3 days), how do you know which one is giving you trouble? All possible triggers have to be eliminated at once, and then after you feel better, they should be added back in one at a time in high doses for several days to see what the culprits are. To give him credit, this is Dr. Buchholz’s method, not mine. My expertise comes with the recipes. MSG is a powerful trigger for many. You’ll want to avoid MSG and all its hidden aliases in your everyday diet. Visit http://truthinlabeling.org for information. Tyramine is another powerful trigger, and builds in foods as they age. Here is a great website with information about tyramine. Caffeine, although it may feel as though you can’t live without it, is only beneficial in the short run. It causes rebound headaches and should be avoided, and that goes for chocolate as well. Chocolate and coffee not only contain caffeine, but also contain naturally occurring chemicals that may cause headaches for some people (some of these chemicals act the same way tyramine does in the body). You’ll also want to avoid all foods with nitrates or nitrites, and all foods with sulfites (with an i), sulfates (with an a) are okay. You can find many recipes on my websites, but I want you to know that you can eat many of the same foods as your friends, as long as you make them yourself. Eventually, after you feel better, you can even have trigger foods every once in a while, as long as other triggers aren’t getting in the way at the time. This doesn’t have to be a sentence of doom, and from my experience, a good diet only spells relief. Heidi Gunderson is the author of Migraine-Free Cooking!, a trigger-free cookbook for migraine sufferers, endorsed by Dr. David Buchholz of The Johns Hopkins University School of Medicine. She has made it her mission to help others lead a life free of pain through healthy lifestyle choices. Heidi has a degree in education, and has recently taken science courses at a nearby college with plans to earn a degree in Food Science in the future. This is a change from her original course of action to be a dietitian, because she believes a degree in food science will allow her to market migraine-friendly food to the general public. 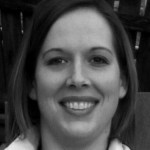 Heidi has been mentioned in numerous migraine blogs and online sites. She is also mentioned on the Migraine Research Foundation website and has had her recipes featured in the April 2011 issue of Today’s Diet & Nutrition Magazine. I have put your book in my wish list at Amazon. As a patient, RN, author and advocate with migraines for over 40 years and fibromyalgia, I appreciate what you are offering. I thought my migraines would go away after menopause, not so. I completely agree on the stack up of triggers at one time, and try to avoid other known triggers when a storm is moving in. TY, Celete Cooper, author of Integrative Therapies for Fibromyalgia, Chronic Fatigue Syndrome, and Myofascial Pain: The Mind-Body Connection (Co-author Jeff Miller, PhD), and fibromyalgia expert at ShareCare.com. Hi! It’s great to see so much discussion surrounding this post. Angelique, I’m so glad following Dr. Buchholz’s methods have helped you. Thank you for posting your experiences. Yes, aged cheeses can be a very powerful migraine trigger for many, but not necessarily for every sufferer. It’s important to learn your own triggers. Safe dairy products include ricotta cheese, cottage cheese, cream cheese, milk, and high-quality American cheese. Products that can trigger migraine include aged cheeses, yogurt, buttermilk, and sour cream. My recipes include no aged cheeses, but they taste like they do. Yum! Many times in recipes that call for sour cream, cream cheese can be substituted. I have read Dr. Buchholz’s book, and it has truly improved my life. The diet has become easy to follow and really has reduced the frequency and intensity of my migraines. Living without chocolate and coffee, seemed to be impossible at first. However, when I found out that they are migraine triggers for me, I lost the desire to consume them. The most important thing that I learned from the book is the facts about Excedrin. Excedrin was causing rebound and I didn’t even know it. I also believe that Excedrin was making the pain more intolerable. I will never use Excedrin again. I still get at least one migraine each month. It lasts for 3-5 days. However, this is far better than the almost daily occurrence of migraine that I experienced before reading the book 8 months ago!